This is part two of my series for Ed Tech folks. In part one, I discussed the need for communication and outlined a simple process for establishing communication with the teachers and staff that are being supported. In this blog, I want to discuss managing tech issues. For most school districts there are few tech support staff, and a lot of school districts have only one tech person for all their Ed Tech needs. So, supporting technology is more a reactionary support process than a proactive support process. 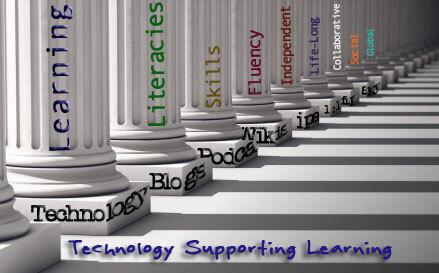 There are a lot of technology that are available to help technicians with support issues, and I encourage the use of technology that helps Ed Tech support their end users. But, it doesn't matter what type of technology is being used if support staff do not know how to manage tech issues. The first step in managing tech issues is to keep a log of support issues. It doesn't matter how good your memory is, there will be a few instances when your memory will fail you. Figure out a way to keep track of your support issues. There are a lot of free and paid for tools available for you to keep track of support issues. It doesn't matter which one you choose, but find one that you are comfortable using, and that you use it. The following are some steps that are easy to implement and follow, and when you plan your work, it will make it easier to become less reactionary and more productive. Get a work order/tech issue system in place ASAP! A simple Google form is an easy way to keep track of your support issues. You can have your end users fill in the form or you can fill it in as you get the support call. Keeping precise, accurate records is very important to help with the issues. Schedule your calendar or to do list based upon the support issues. If you have a schedule, and you stick to it, your end users will see you as being responsive and timely on their support issues. Figure out what your emergencies are and then let your end users know that you will reschedule a support issue to work on an emergency issue. Talk to your superintendent or site administrator to help you decide what an emergency is. For most school districts an emergency revolves around attendance and communication (phone/email), beyond that most support issues can be scheduled. If the support issue needs to be handled by a third party vendor or a higher support person, communicate with the end user that this is happening, and then follow up on it daily, until the issue is resolved. Start to plan your preventive maintenance jobs as support issues. Place them on your calendar and then treat them just like you treat your other support issues. They need to be done! If you are constantly becoming proactive with your preventive maintenance jobs you will find that you will have less reactionary support issues that occur. Make sure that you have a support schedule for most types of support issues (this gets easier with experience , and communicate that it will take time to resolve those issues. Give yourself time to fix the issue, but not so much time that it never gets done. Learn to recognize when you are banging your head against the technology wall. Having a system in place to get your end users a replacement or work around for their issue, when you recognize that the issue will take longer to resolve. Above all communicate with your end users about what is going on, and if the issue is major, then let your supervisor, the site administrator, or the superintendent know what is going on. I know that a lot of Tech Ed shops have a system in place, and may have had them in place for a while, but it doesn't mean they are getting used. If you are a manager or IT director and you are getting calls about things taking too long or that you notice your second level support personal seem to be over tasked, take a good look at how your shop is utilizing your support/tech issue system. I am willing to bet that you will discover it is not being properly utilized as a tool to schedule the appropriate level of support.